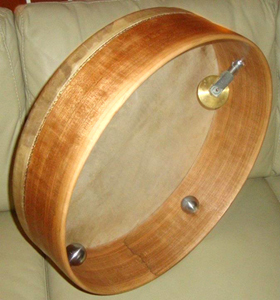 The frame drum is the oldest and most common sort of drum. There are many different kinds, all with their own names. Because of the great diversity of names, we have gathered similar instruments of related cultures under a single name. 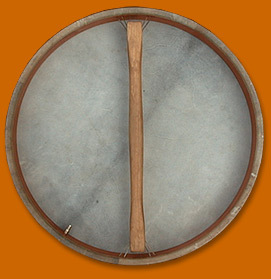 The Tar is a light, universal frame drum that is played with fingers in the ancient style, holding the drum in front of the body with one hand. It has a rich voice and produces clear bass tones as well as compelling sidebeats. The Airweight has a brilliant sound particularly rich in overtones, with a soft swelling bass. This is achived trough a very light frame and a thin skin. Expressiveness and an ethereal character meet here. The Airweight is especially suited as a solo instrument. 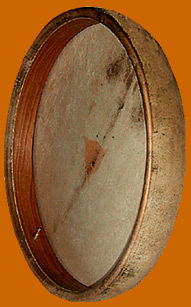 The Duff is a medium weight sonorous drum that is widespread in Orient. As the "tof" it is mentioned in the Old Testament. Our model has one or three grip notches. The Mazhar has a deep, heavy frame and a rather thick skin. 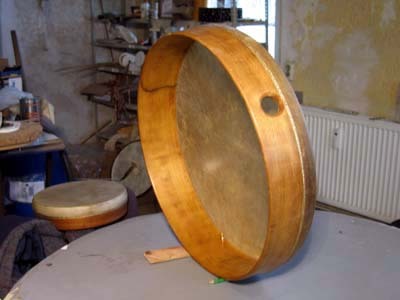 Due to its weight it is rested on one knee or held with both legs when being played ,almost like a darbuka. This drum has a profound, warm bass and bell-like high tones. It is suitable for accompaniment of voice and melody. Diameter 16" 18" 20" 22" and 23"
Our Shaman Drum is rooted in various indigenous cultures. The Daire has series of metal rings attached to the frame. Rattling against the skin produces a hard, penetrating sound. Diameters are 18" 20" 22". 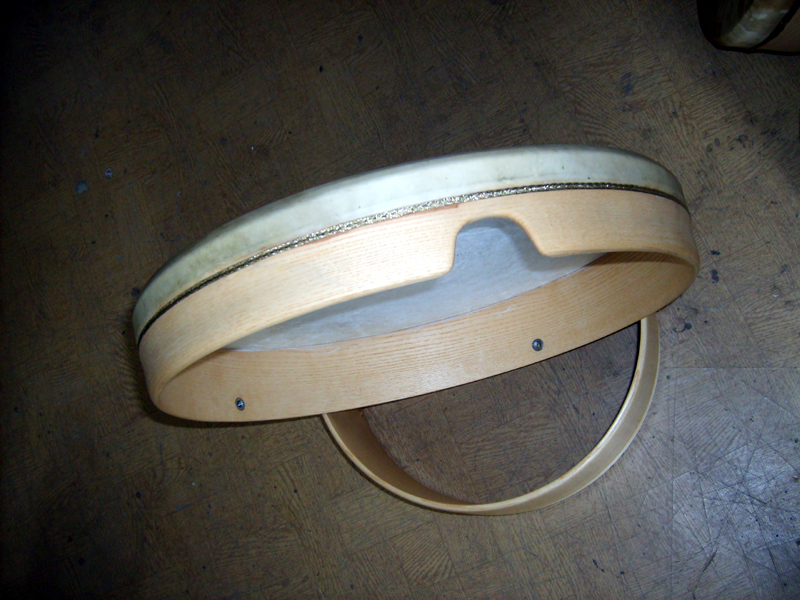 Our Irish Bodhrans are made from a thick, soft goat drum skin. Frames are made from beech and cherry wood. Grip bar is optional. Diameters are 16'' and 18''. 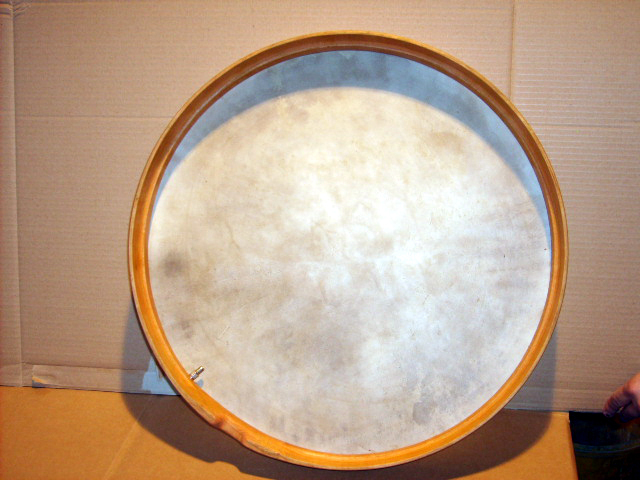 The Gathering Drum, because of its size and rich sound, is ideal for several people to play together. Drums of this nature wer played in Mesopotamia 3000 years ago. Our drums are available with an adjustable, removeable stand. 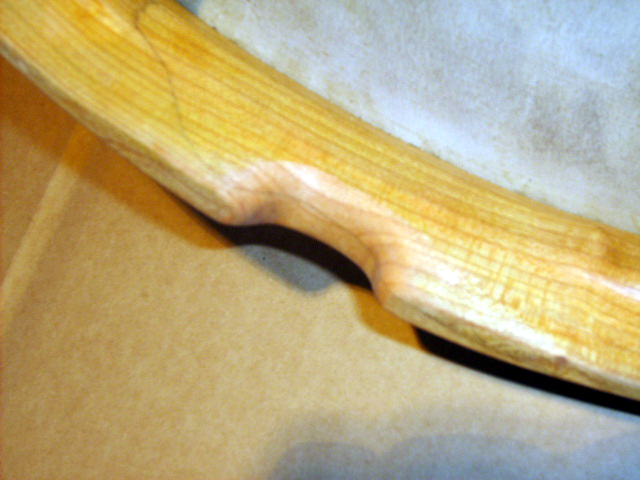 Tar Drum Set models can be fixed onto cymbal stands. Through the combination of several tuned instruments harmonic patterns or even melodies can be created. Diameters 9" 11" 14" 16" 18" 20" and 22"